People often need to convert other files into a PDF format. For example, most scanned documents end up as an image in a JPG format. But you want/need to edit the image later on, add some fillable forms, and so on. To do that, you need to create PDF from images on Mac. And while JPG is the most widely used image format, with the right PDF tool, you can convert any image to PDF on Mac in an easy way if you have PDFelement for Mac. As mentioned previously, your best solution is to find a PDF software that can easily convert images into a PDF format. 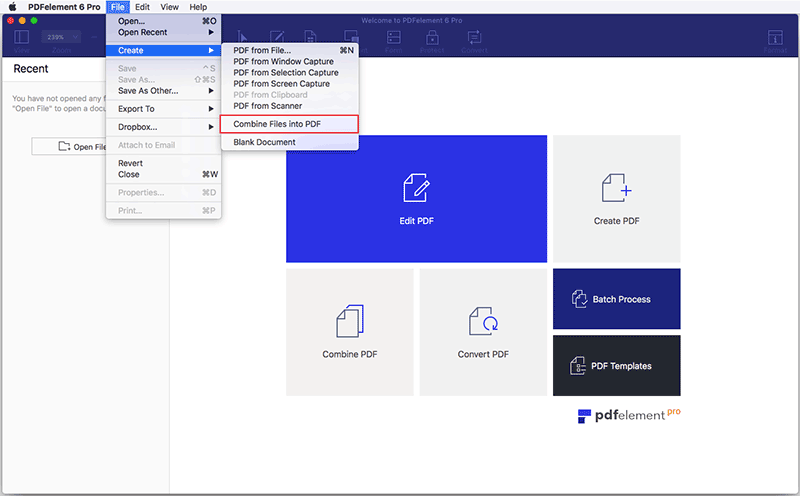 One such software is PDFelement for Mac, a compete PDF solution that will make PDF from images Mac easier. What makes it so good? Well, it all comes down to the distinguish features you can use. This is the section you want to know. As mentioned previously, converting images to PDF Mac is a simple and easy process. So, with that in mind, how can you do it? Well, it is a two-step process, and we will explain it thoroughly. Step 1. Start by launching the software on your Mac computer. 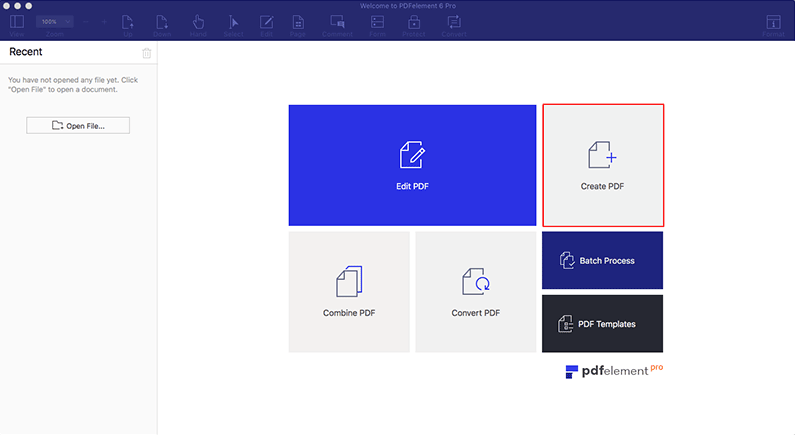 Click on "Create PDF" in the welcome window. Browse your computer to find the file you need. Click "Commend" and select multiple photos or pictures in the local folder, and then click "Open". The software will automatically convert images into PDF Mac, and open the new, PDF file into PDFelement. Step 2. Next, you need to save the file as PDF, so go to "File > Save". Alternatively, you can press "Command + S". Once you click Save, you need to select name, and choose an output destination folder where you want to store the file. You has successfully completed photos to PDF Mac now. If you want to convert picture to PDF on iPhone, please navigate to PDFelement for iOS. Step 1. Go to "File > Create > Combine Files into PDF", or just use the "Command + N" combination on your keyboard for pictures to PDF Mac. Step 2. Then click "Add Files" in the new window and browse through the local folder, select the images and click "Combine". Once you are done, click on "Save", choose an output folder, rename the file, and save it for later usage.